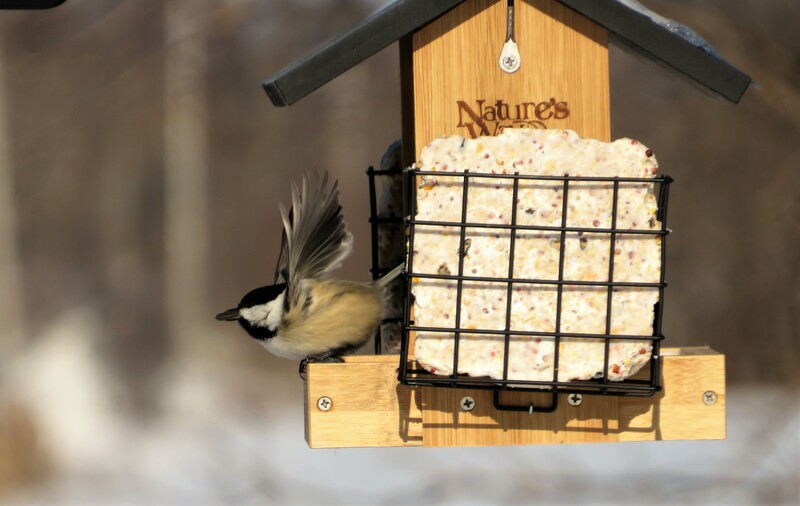 This is the new BOSS sunflower seed only with suit feeders on the end.. so far I have not had a lot of the bigger birds use it, but the black Cap Chickadee’s love it! 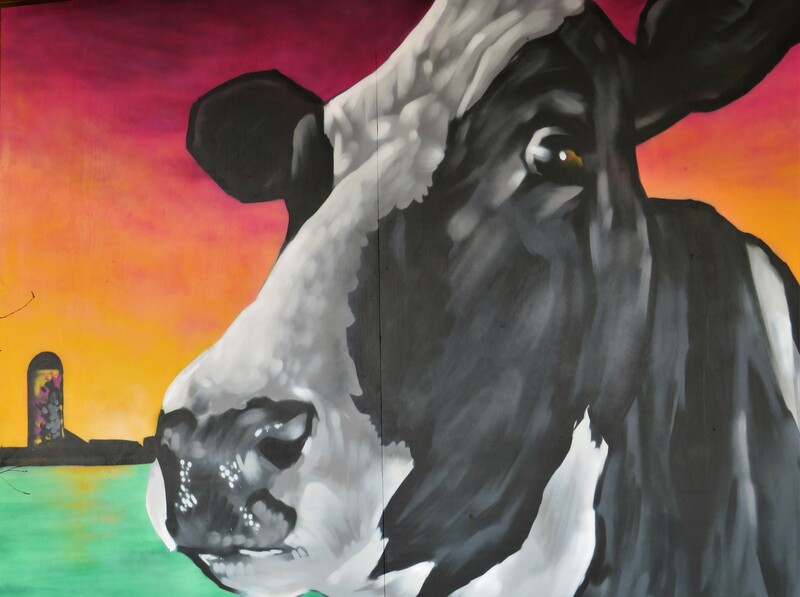 We got out to our local cheese factory and they have the huge cow mural on their wall, I just had to try and get a good photo of it.. No matter how I tried.. It still gives you “wild” cow eye lol. 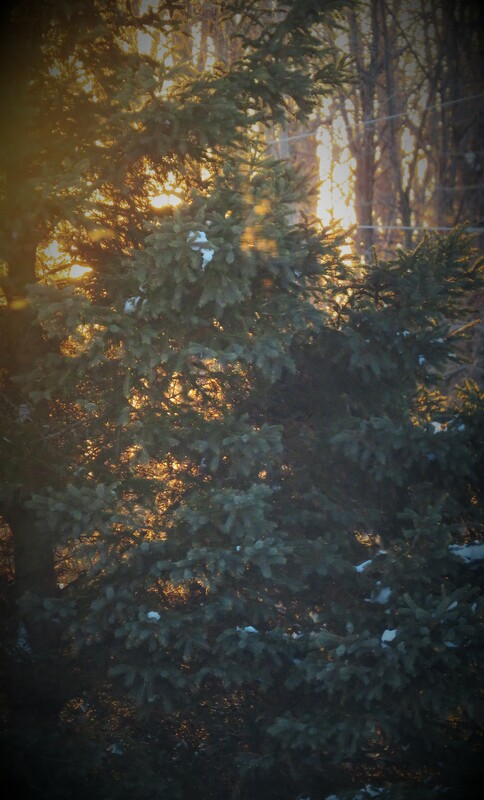 I loved this warm glow of the sun coming though my big spruce tree.. It spoke of warmth to come. It was so lovely to have the sun come out. 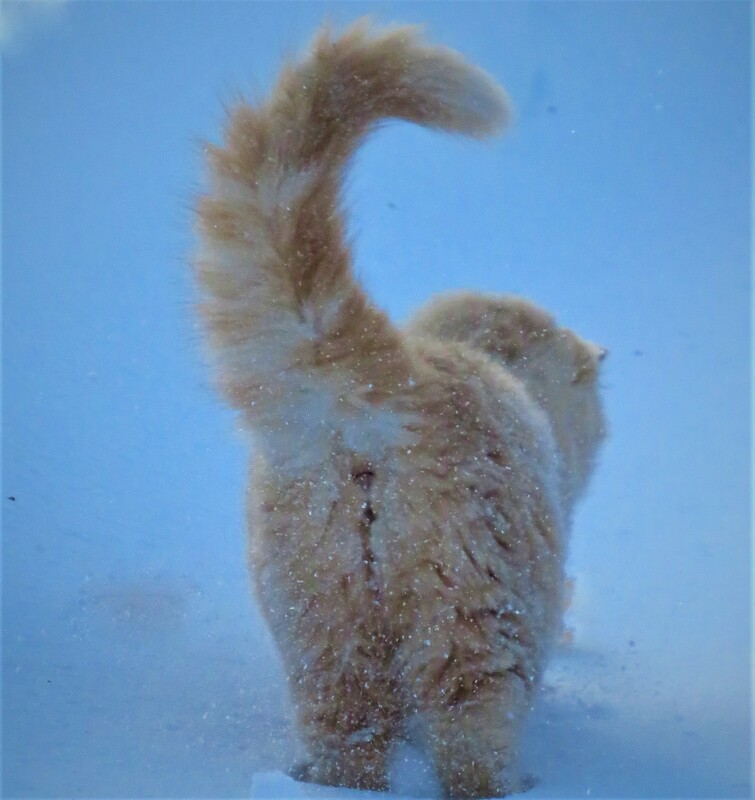 No matter how cold, No matter how much snow, No matter how overcast on a grey day.. Little miss Fluffy pants had to follow us around the farm while we did chores.. She is positive she must come with us.. There were a few time’s I had to pick her up and bring her in the house to warm up as she was doing the foot dance.. but to give her credit.. most of the time she was our chore kitten. Leeloo’s Motto in life.. ME Too.. Me Come.. Me Can Do It! 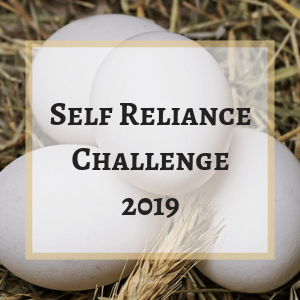 I hope you have enjoyed a months worth of weekly Farmgal’s Photography. I have enjoyed picking up the camera and I have enjoyed sharing it with you guys. This entry was posted in photography and tagged Canadian Homestead Photography, Farm Photography, farmgal photography, Farmgal's Photography. Bookmark the permalink. I tease her that she is a little photo muse as she seems to end up in so many photo and she can and does express so many different feels in her photos.. Just love it! Assuming these are your own home-made suet cakes, FG? Have you already done a post?